Founded in 1971, WNC has acquired approximately $9.3 billion of assets totaling in excess of 1,375 properties. It’s also the parent company to Community Preservation Partners, an affordable housing developer that owns more than 7,200 units across the US. WNC and its companies, including Community Preservation Partners, are longtime advocates of affordable housing in the US. 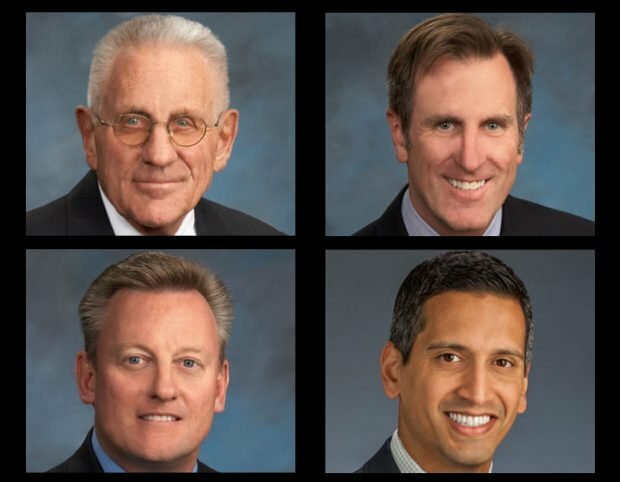 Among its leaders are (clockwise, from top left) WNC Founder and Chairman Wilfred N. Cooper, Sr.; WNC President and CEO Wilfred N. Cooper, Jr.; CPP President Anand Kannan; and Michael J. Gaber, WNC’s EVP and Chief Operating Officer. Founded in 1971 and headquartered in Irvine, CA, WNC is a national investor in affordable housing real estate and community renewal initiatives. Over the years the privately held firm has acquired approximately $9.3 billion of assets totaling in excess of 1,375 properties in 47 states, Washington, DC and the US Virgin Islands. It has also closed over 75 institutional funds targeting an investor base that exceeds 19,500 and includes institutional and retail multinational banks and insurance companies, 30 of which are Fortune 500 companies. Its business lines include Affordable Housing, Federal Low-Income Housing Tax Credits and Historic Tax Credits State Tax Credits. The company was founded by Wilfred N. Cooper, Sr., who is also chairman of the board and director. Cooper, who has testified before Congress regarding low-income housing tax credits, is a life director of the National Association of Home Builders and a national trustee of NAHB’s Political Action Committee.